Man’s search for meaning has existed ever since we were first given the gift of consciousness, and for thousands of years men and women have pondered some of life’s biggest questions – especially “why are we here and what is our purpose?”. And while some have been able to find meaning in some of life’s smaller moments, or have been able to find some sort of peace and happiness with more traditional religions and spirituality, there are some that remain uninspired, unmoved, and unchanged by those kinds of beliefs. That’s where Celestial Inspiration comes into play. 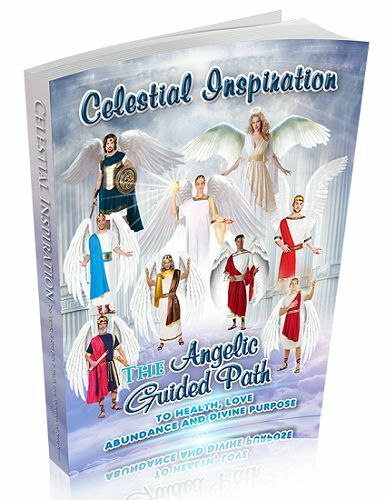 This e-book outlines the purpose of the archangels in an effort to help everyone better understand their true Divine Purpose through Celestial Inspiration, and everyone to achieve the kind of health, love, and abundance they are looking for and that each and every one of us deserve. A gift from on high, this book is not just another book to read and then discard but instead something to meditate on, something to embrace completely, and something that can be used to inspire your life every day from here on out.